Gabriel lives on an Island. 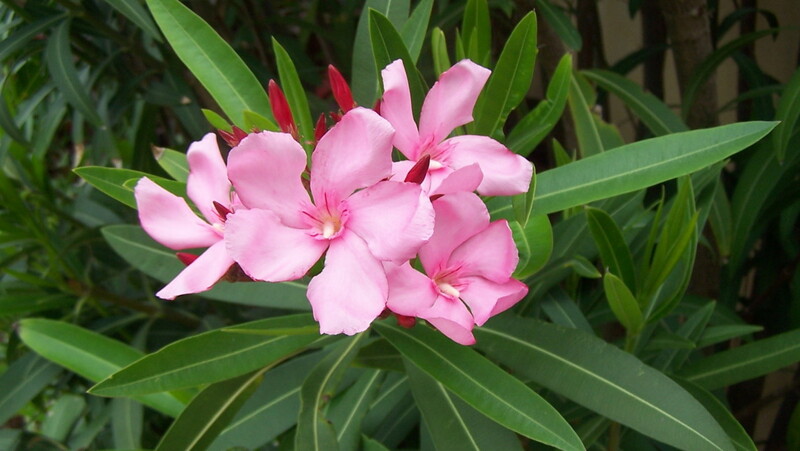 A beautiful small Island that enjoys a warm climate and beautiful landscapes. The mountains in the above picture are the amazing mountains of the famous, Paul De Serra plateau to the western side of the island. 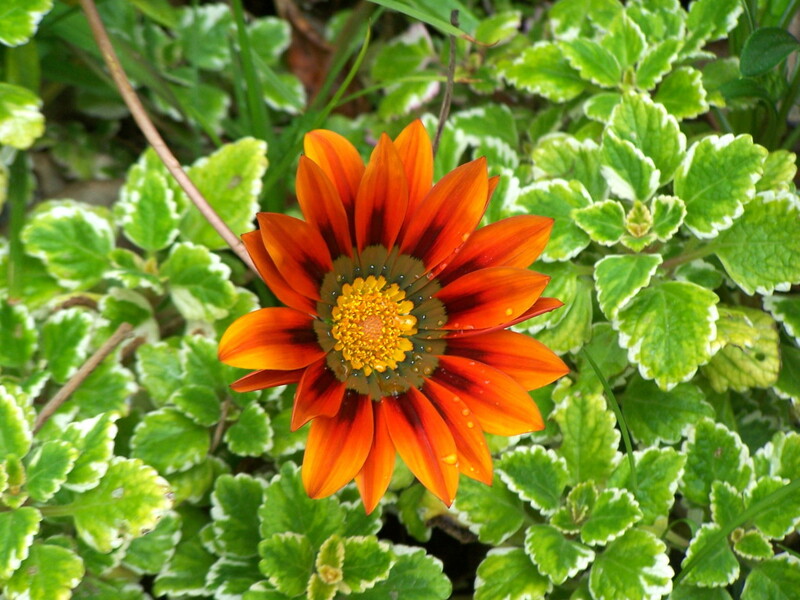 Flowers grow wild in furious abundance dotting the landscape with volumes of radiant colours. The shades of blues, greens and browns are just remarkable, interrupted by volumes of colours: yellows, purples, pinks, oranges and reds to name a few, definitely are please to the eye. 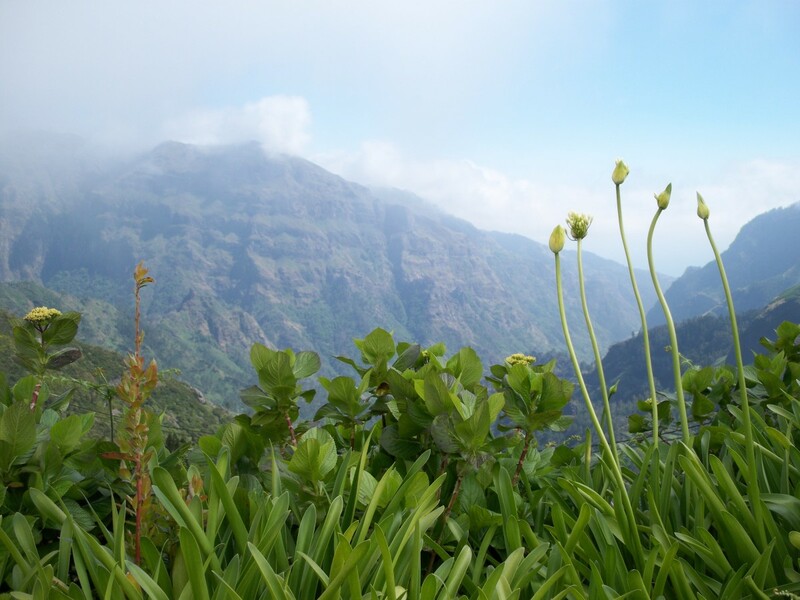 The great outdoors of Madeira beckons to all. Come and discover this wonderful magical place, bask in the sweet aromatic scents and enjoy a most delightful un-spoilt beauty: this is nature at her very best showing all who venture to the plateau, the glory of her talents. 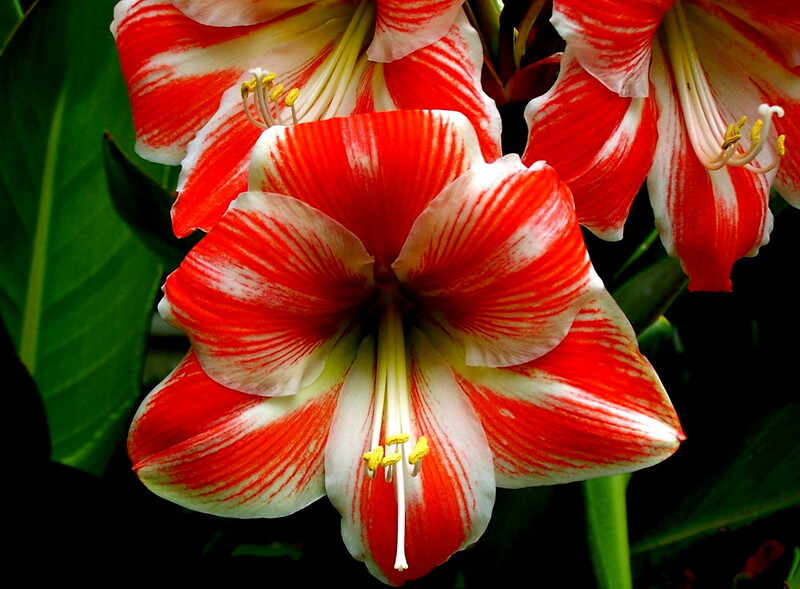 The beautiful Island of Madeira is often called the floating garden and with very good reason. 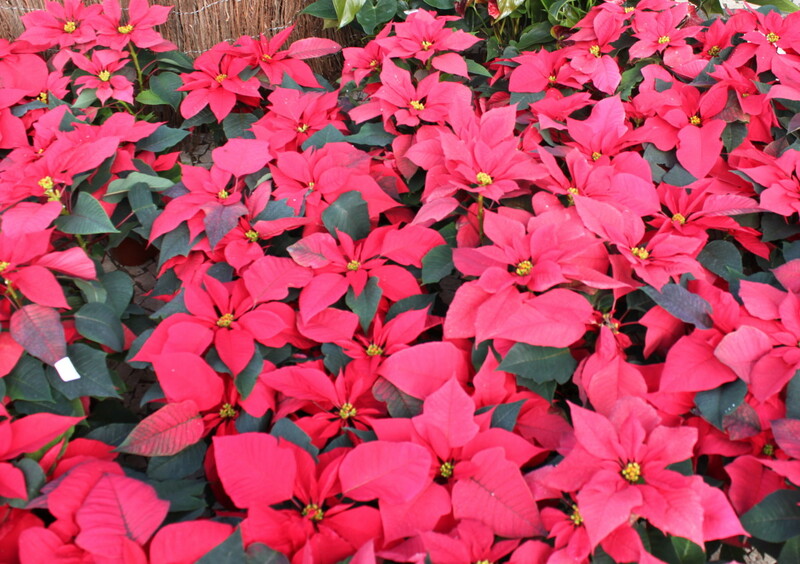 All year round we are lucky to have numerous flowers of different species growing in abundance. Not just in our gardens or the Islands gardens, but wildly through our acres of mountain and woodland landscape. 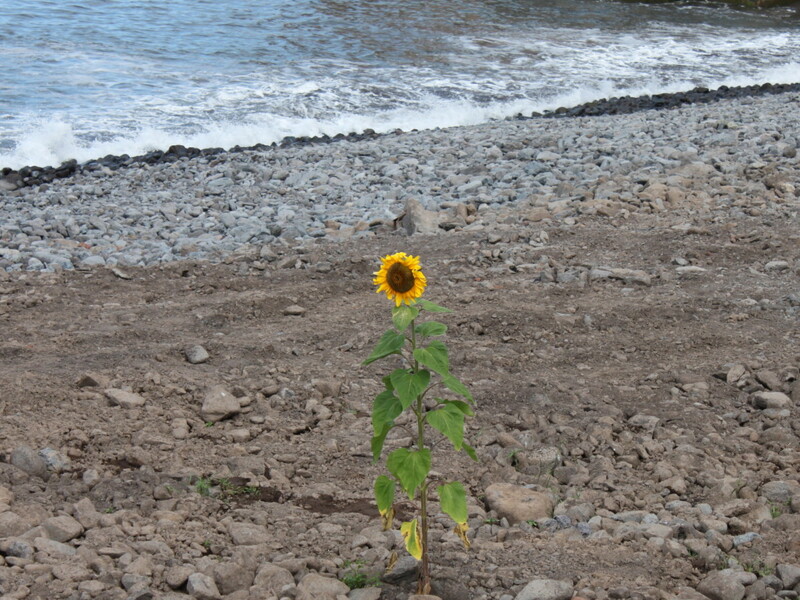 Many of the Island's flowers were originally brought here by the exploring sailors that passed as they sailed home from their adventures in foreign seas. 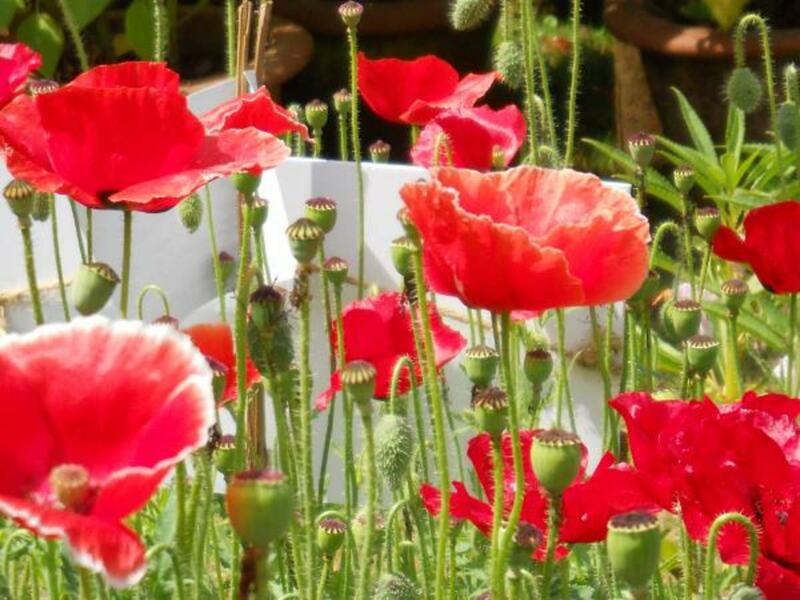 A well told story reveals the sailors often gave gifts of flowers and plants in appreciation for the generosity received from the local people. The days of bartering of course, were still very much in practice. Many a budding seedling was given in return for a good slug of Madeira wine. Bartering is still in operation in numerous small villages today. The locals enjoy giving to their fellow neighbours and the lucky passer by will always be offered a homemade tipple or the delight of sweet scented fresh flowers straight from the garden. The beautiful Arum lily and the Blue and White African lilies grow wild about the island. This bulbous plant from South Africa grows in bunches and likes the lush terrain of the valleys. Wild roses climb old foundations of empty houses and venture along old traditional stone walls. Aloe vera clings to the mountain rock; towering green plants of majestic stature. Pretty coloured Mimosa trees add a yellow hue throughout the landscape. The magnificent Estrelicia with her eyecatching flower is also to be spotted in her natural state growing wild. The forrest floors are rich in soils and home to numerous evergreens. Ferns and Ruscus to name but two. The higher lands of this Isle are nothing short of remarkable. Beautiful displays of colour line the roads and small parks surrounding the City and small towns. The motorways and roundabouts are like artist pallets. Loving put together by the city gardeners. 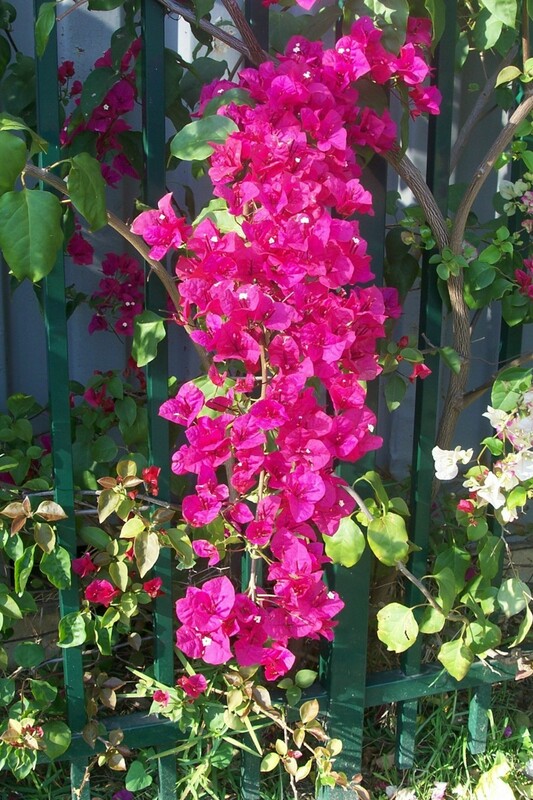 Bougainvillea in her glory wears reds, pinks and deep yellows. Clinging to gates and walls. Over looking balconies and adding beauty to old stone buildings. The fabulous Jacaranda trees with their wonderful purple petals line the City avenues. Creating natural canopies of soft light. A truly spectacular sight. 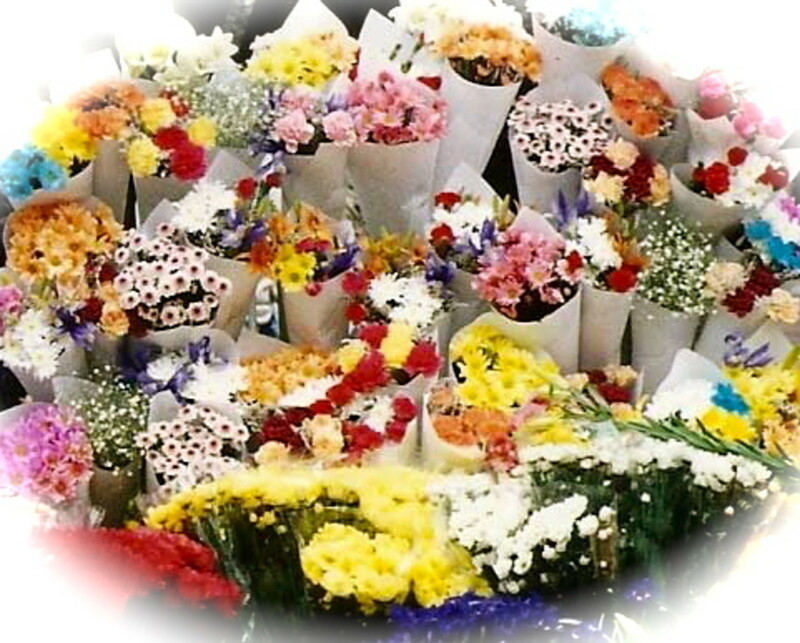 The daily Farmers Market is a buzz of excitement with the flower venders selling their freshly picked ware. Beautiful Flamingos, Orchids, Daisy spray and Gerberas, Bird of paradise, Lilies, Roses, Magnolias, Slipperwort, Sapateiras and an abundance of different sun flowers plus many more exotic species. The market is an inspiring place. A lush carpet of colour spread out before your eyes. 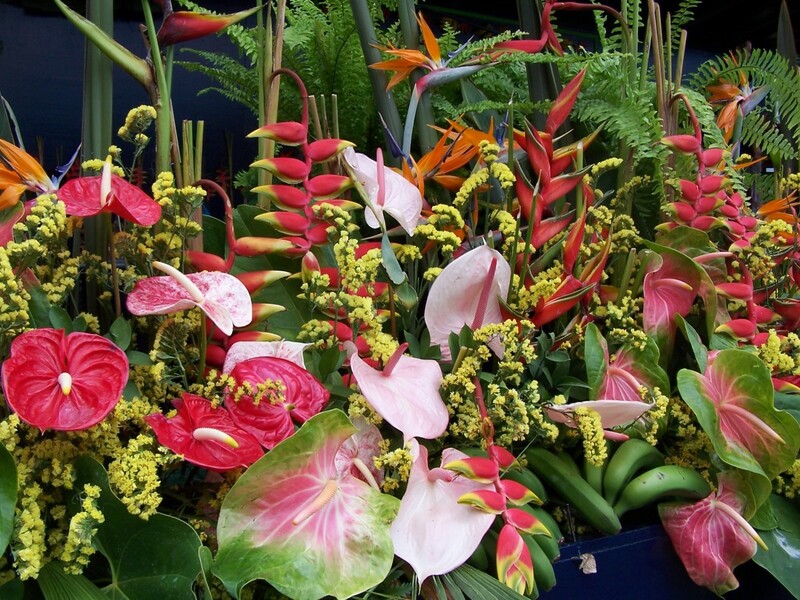 Tropical flowers with their stunning colours; The Feathered Proteas and The Exotic Heliconia. True spell bounding beauty. 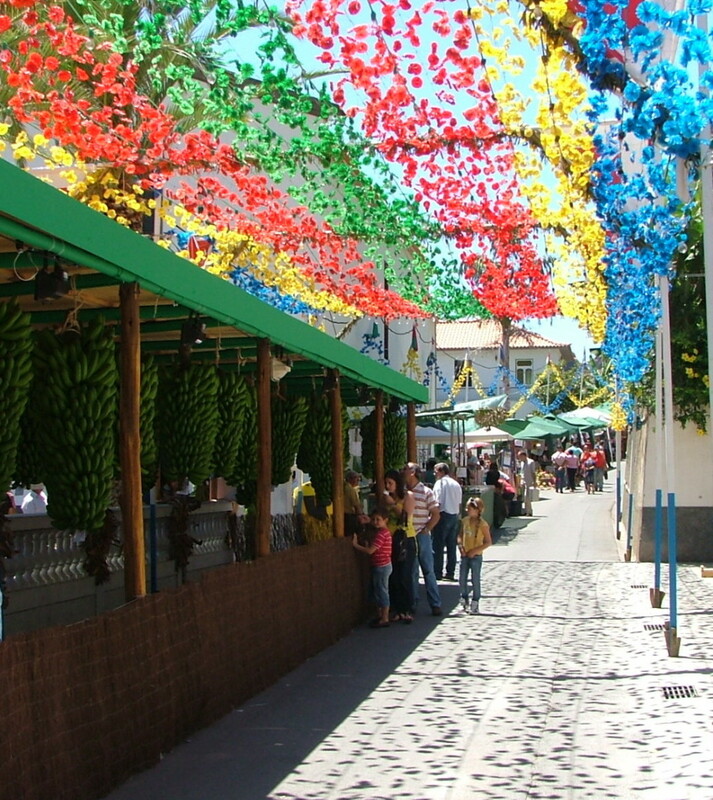 People with smiling faces move in anticipation through the flower stalls. Like little children in a sweet shop.Too much to choose from; too many colourful choices. 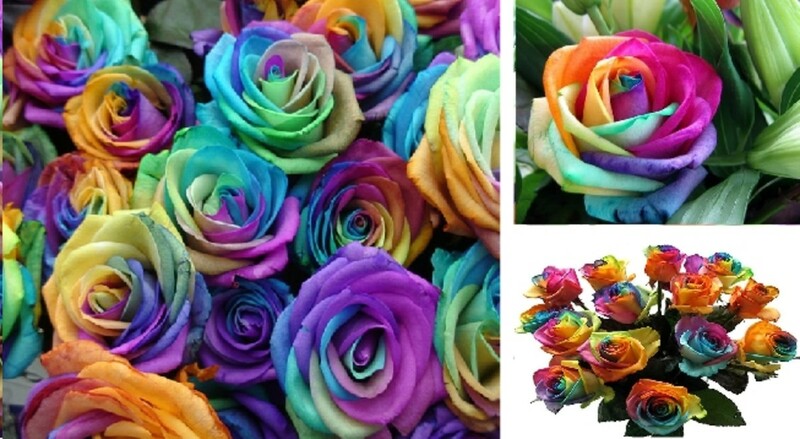 The rainbow has serious competition amongst these beautiful displays. 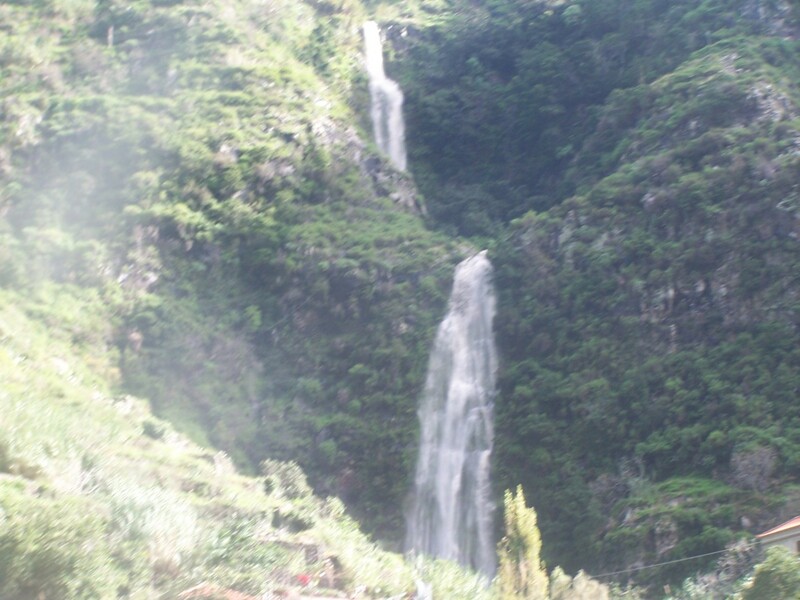 The Famous Flower Festival of Madeira falls every year after Easter. 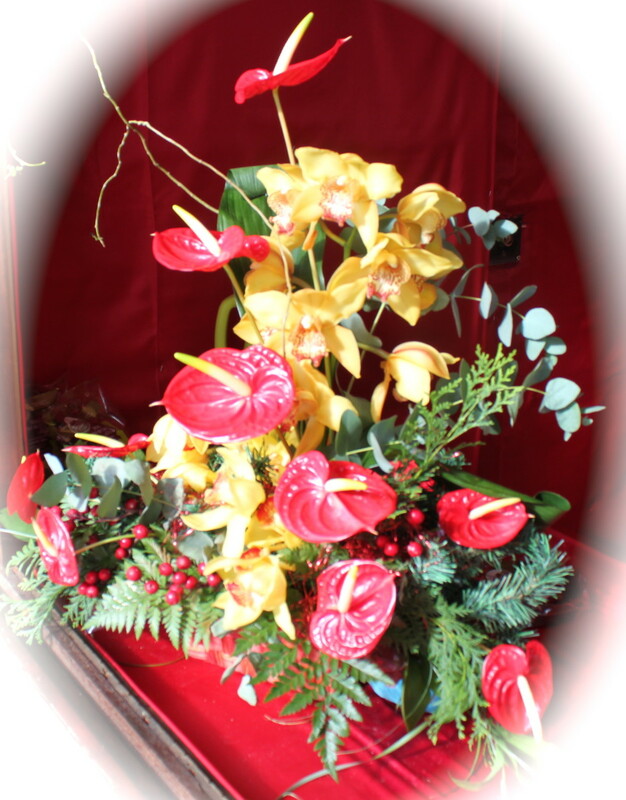 This wonderful event includes a fantastic parade of beautifully decorated flower floats through the City streets. 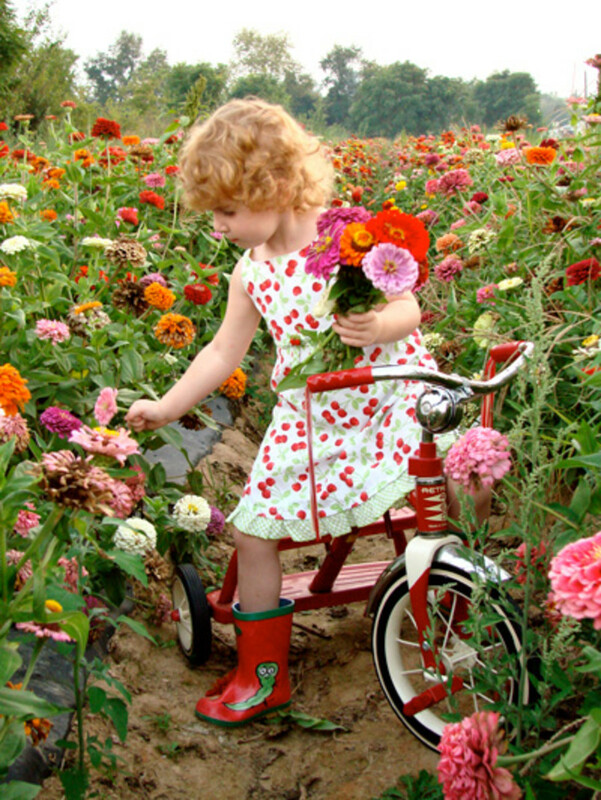 Children dress in the most amazing colouful costumes adorned with flowers and greenery. 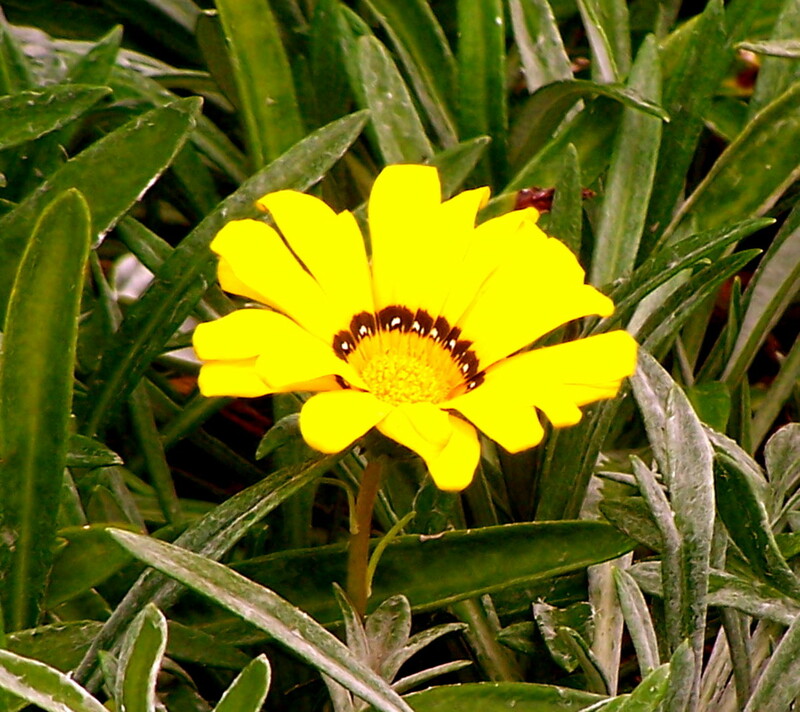 Flowers are worn in their hair and their little faces too are made up. The local men and women dress up too. They sashay in their amazing attires creating a very colourful and elaborate entourage through the city. It is a fantastic display and a most joyous event. 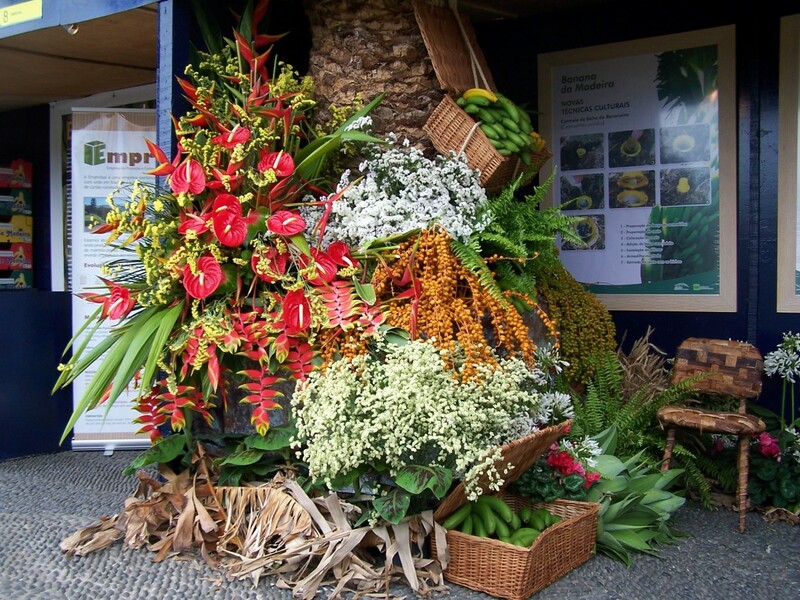 Should you ever decide to holiday on Madeira and visit this fabulous floating garden; make sure your visit coincides with the spectacular flower festival. The beautiful natural spring pictured below is one of many springs throughout Madeira providing a natural water system for the numerous moss species that grow in the mountains. The mosses cling like an emerald carpet to the volcanic rock all over the Island, creating a wonderful sea of numerous greens. 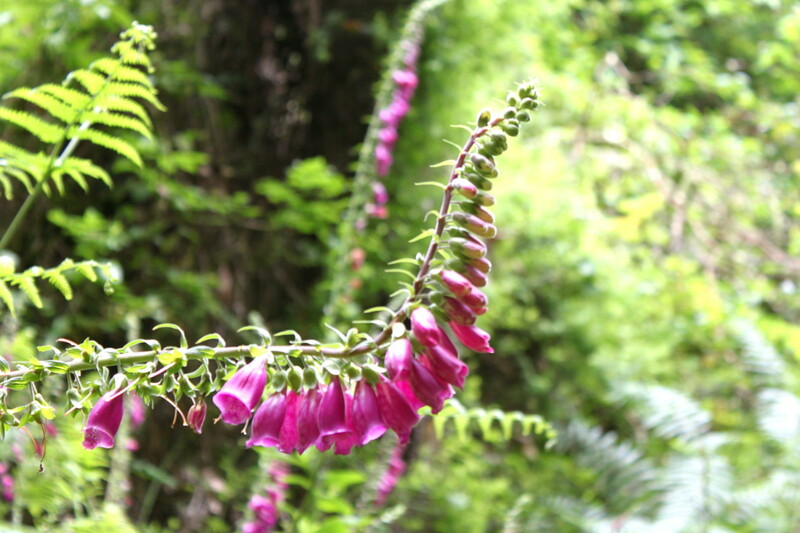 It is thanks to the volcanic soil here on the island of Madeira that we are fortunate to enjoy such a wonderful abundance of plant life, colourful flowers and delightful shades of earthy fauna that roam our hills. This little spring is truly majestic in an understated way, giving and providing to the natural vegetation of the Island. Thusly creating the beautiful floating garden that Madeira is so fondly known as. It is this amazing lushness that draws so many visitors to the island to walk and hike alongside such beautiful natural scenery, experiencing nature in all it's own glory. 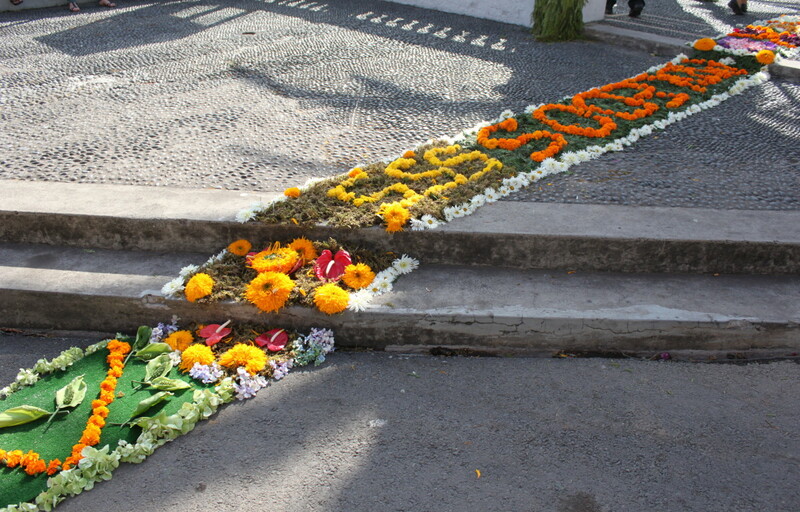 The pictures to the right and below are flower displays created by local village women to celebrate a village festival. 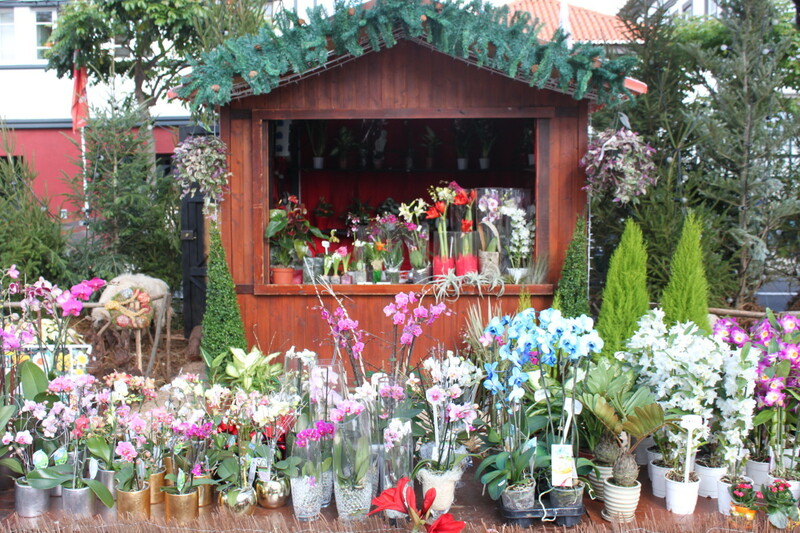 There are many such festivals to enjoy throughout the Island of Madeira. Everyone joins in and the festivals are always a lot of fun. Beautiful Flamingos, Estrelicia, The Exotic Heliconia are displayed magnificently among forest fern. 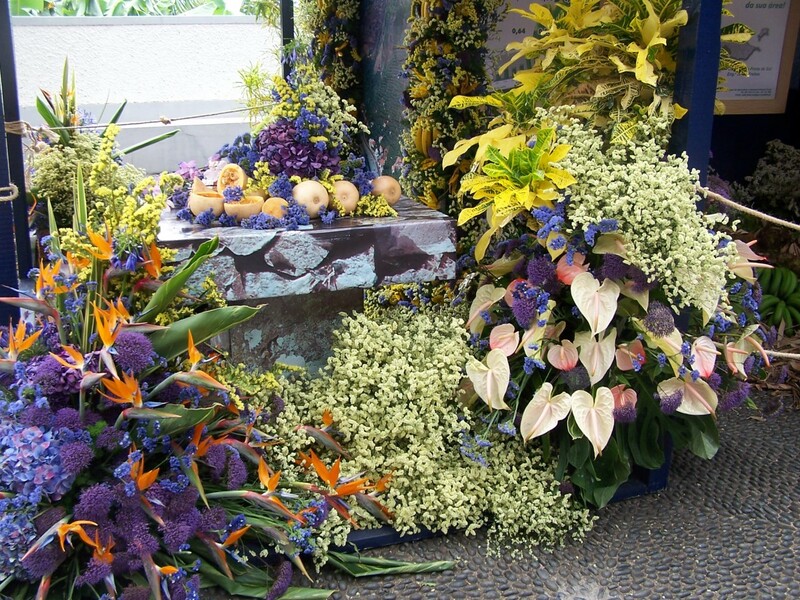 African lilies, Sugar loaf and Daisy spray too are added for a dramatic effect. 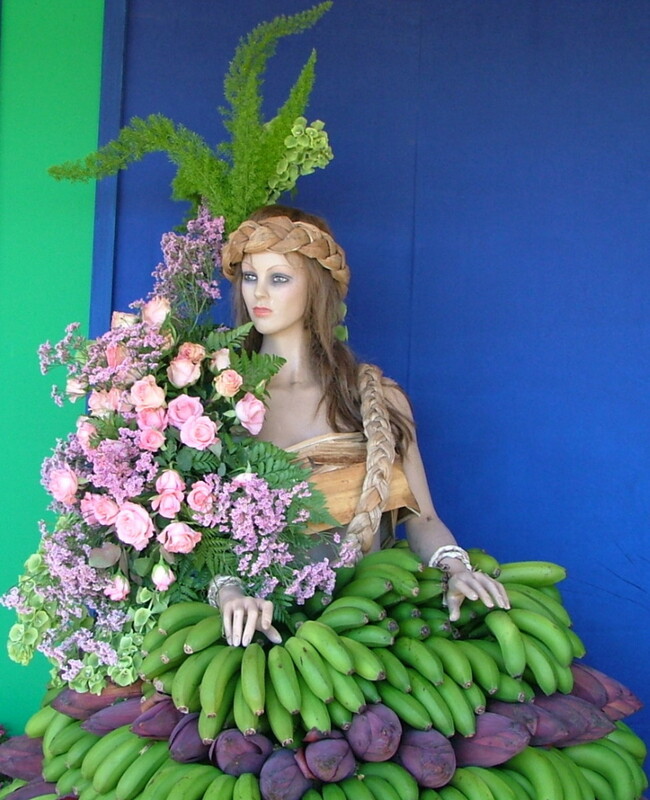 The elaborate displays honor and celebrate the importance of the local fruit; the banana. 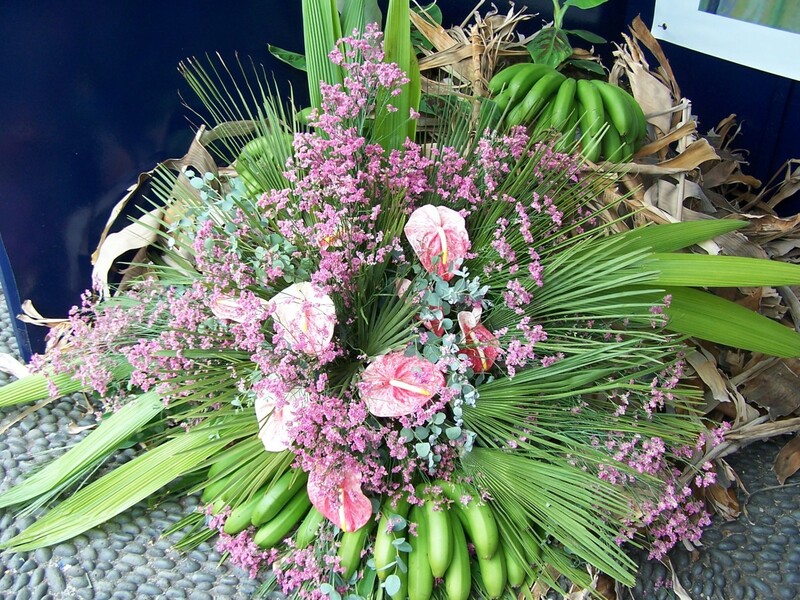 The banana fruit is very important to Madeira and is a much loved fruit by the Island people. Many villages thrive on bananas; their main crop and hence their main income. Although the banana is harvested all year, the celebrations are always in the Summer. The festivities can last for days; beginning on a Friday and carrying through the weekend. Music and dancing go hand in hand with the celebrations. Liquors, juices, cakes, biscuits, breads and pancakes are made from the banana and sold during the weekend festivities from little wooden bars and stalls adorned with hanging bunches of bananas and banana leaves. A fantastic a-ray of colour lifts the whole village street. Delightful freshly baked food smells drift in the still July air. People buzz about; sampling the different fare on offer. The festivities are in full swing and traditional music adds a lilt to the high spirited chatter of happy voices. A wonderful way to spend a summer day. 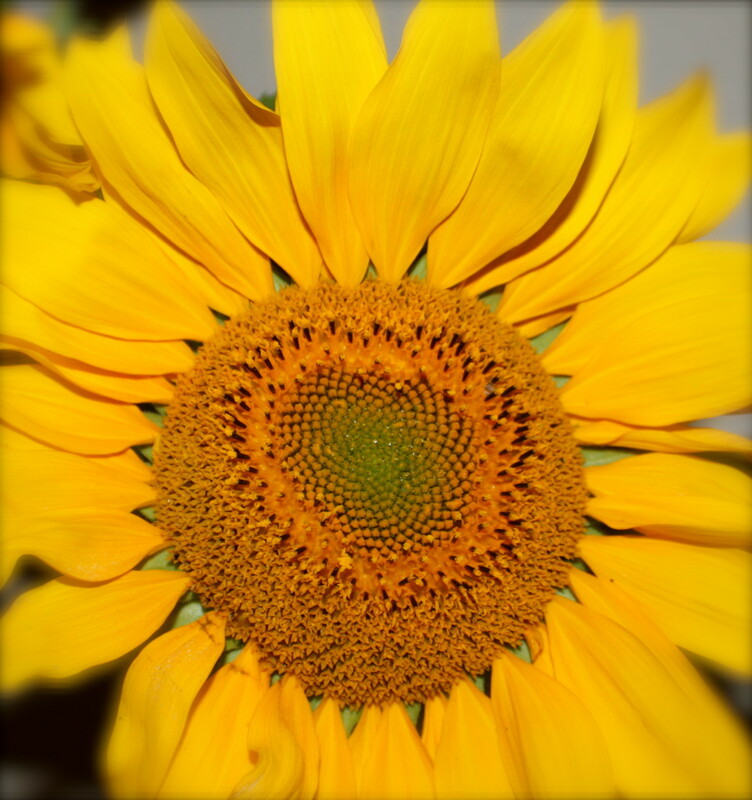 Flowers create beautiful and unique images. 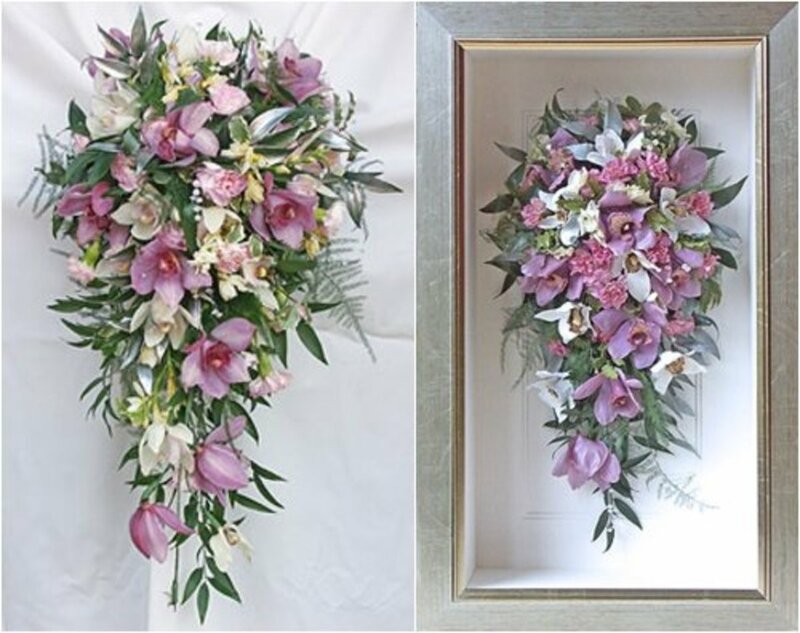 Displayed about the home flowers introduce a sense of calm and tranquility. 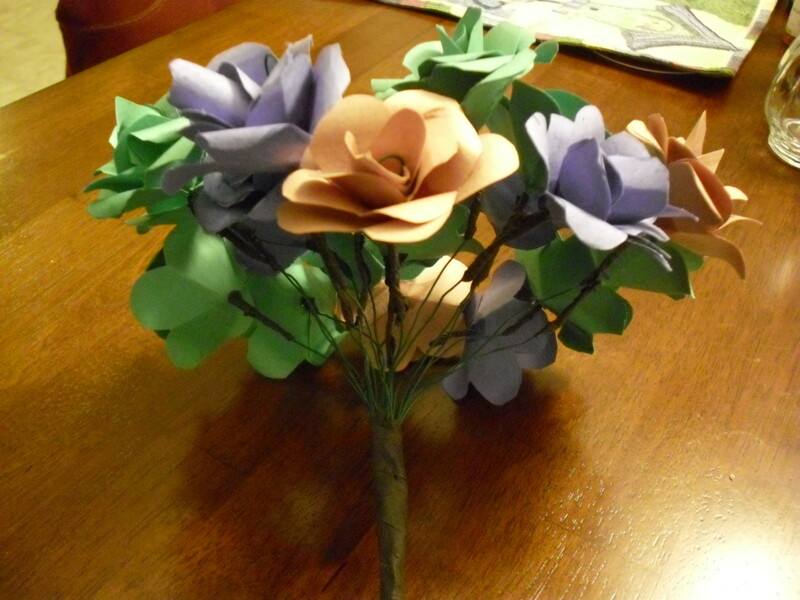 Why not embark on a little voyage of your very own: Introduce yourself to The Art Of Flower Arranging. Glad you popped in; I love the farmers market too. 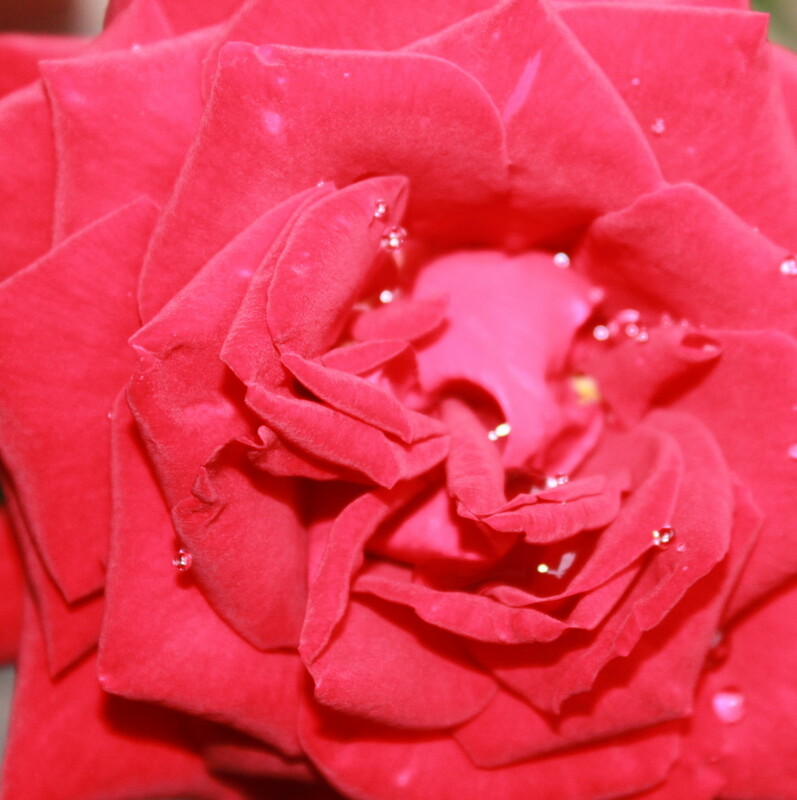 Hi Gabriel, these photos are stunning, lucky you living in Maderia! I have visited there 7 times, I love the farmers market in Funchal, you have bought back some lovely memories, thank you.